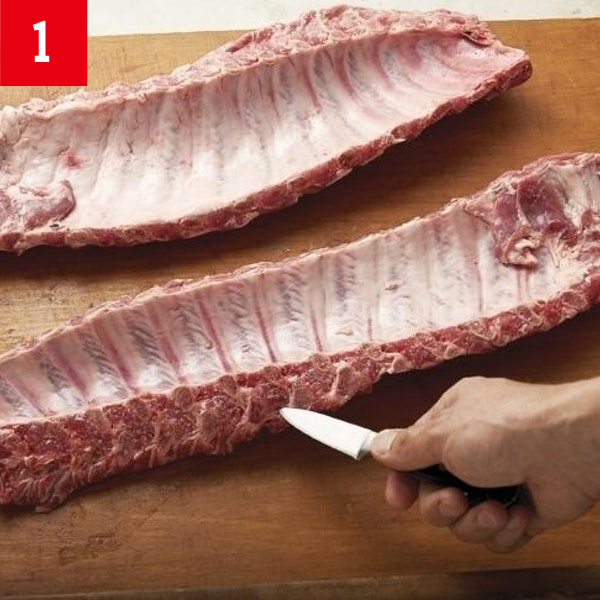 Choose ribs with a generous amount of meat, ideally an inch or so thick. 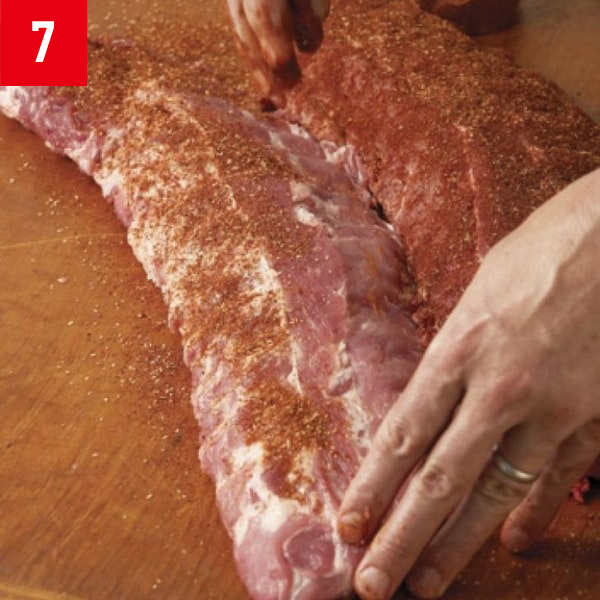 Trim any meat or fat that dangles from the bone side. 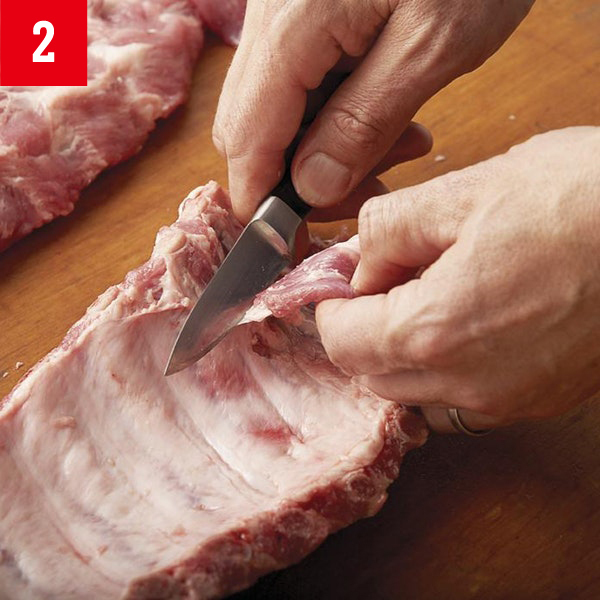 Also trim any tough sinew (silver skin) on the meaty side. 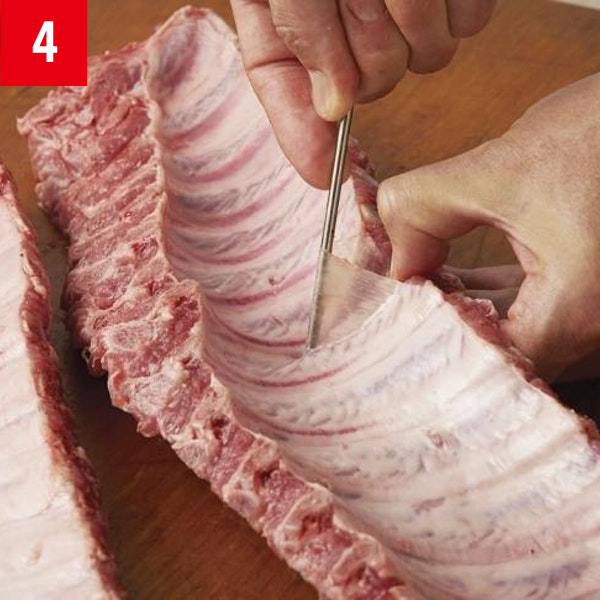 Slide the tip of a meat thermometer under the membrane and over a bone. Pick up the edge of the membrane with a paper towel and peel it off. 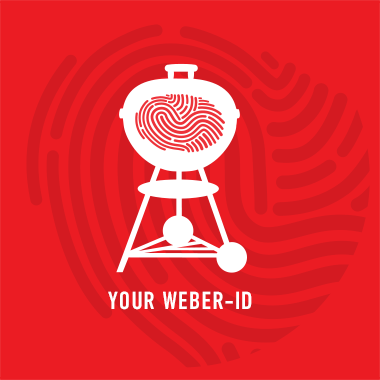 Season the ribs lightly on the bone side. Don’t forget the edges! 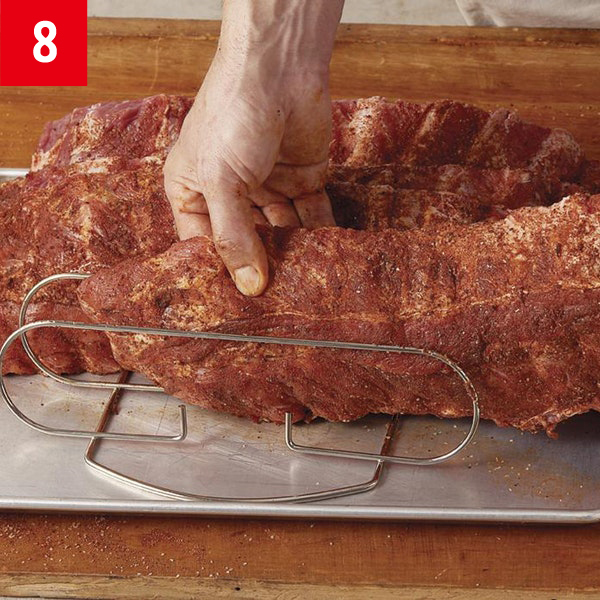 Season the ribs more heavily on the meaty side. 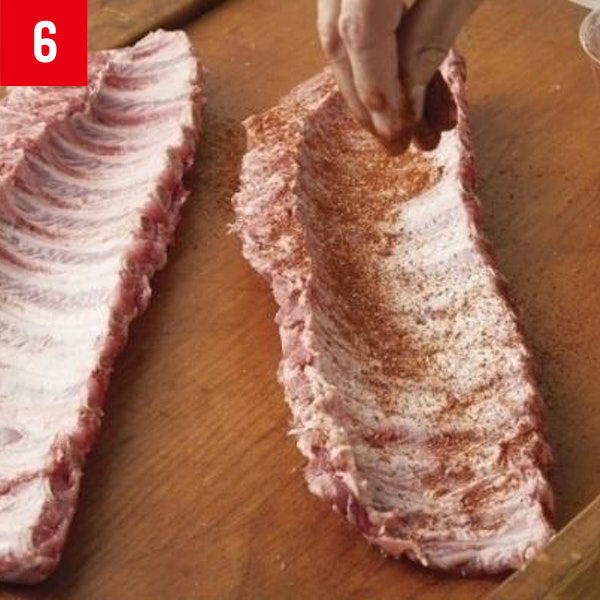 Arrange the ribs in a rack, with all of them facing the same direction.